Retail investors tend to run for cover when the market falls, whereas the professionals get their buy list ready to take advantage of the bargain prices. Though the trading volumes have been falling in the past few months, the merger and acquisition (M&A) activity is on an upswing. Recently, Goldman Sachs and Mike Novogratz, CEO of Galaxy Digital, invested $15 million in the crypto custody service BitGo. Data from PitchBook, compiled by JMP Securities, shows that there are likely to be 145 crypto- and blockchain-related deals by the end of this year, well above the previous year’s count of 47. Price-wise, some analysts believe that the calm in the markets is about to end. They expect Bitcoin to take a decisive direction within the next 1–2 weeks. Do the charts point to a potential breakout or a breakdown? Let’s find out. Bitcoin has failed to break out of the overhead resistance at $6,831.99, resulting in a move down. Currently, the price is at the moving averages, which might act as a support. However, if the bears break this level, the digital currency can slide to the next lower support at $6,250. A lack of follow-up buying after the surge on Oct. 15 is a bearish sign. It shows that the market participants are in a hurry to close their positions during every small rally. Both moving averages are flat and the RSI is close to the midpoint. This points to a consolidation in the near-term. The BTC/USD pair can remain range bound between $5,900–$6,832 for the next few days. A breakout or breakdown of this range will start the next directional move. On the upside, the bulls should watch the levels of $7,400 and $8,400. 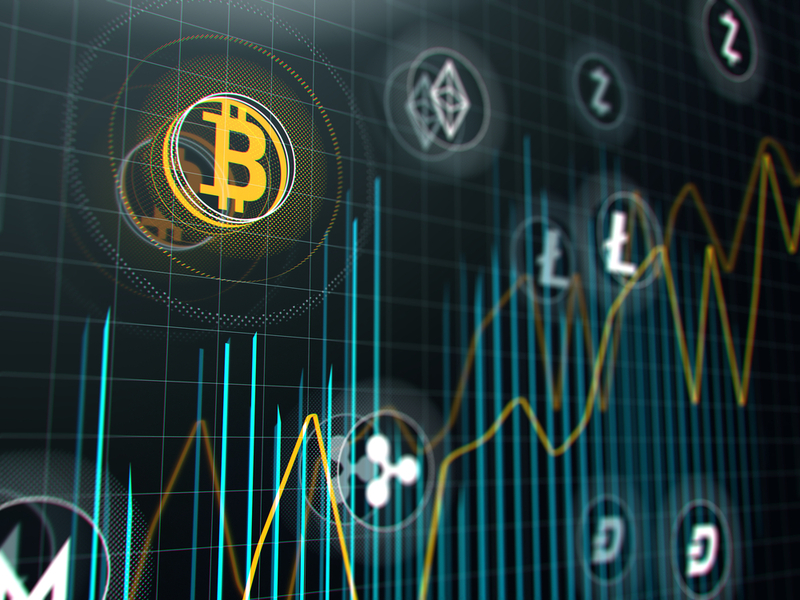 On the downside, a break of $5,900 will trigger panic selling among the participants, plunging the price to $5,450, and further to $5,000 in a short time. We suggest traders close their long positions if the pair breaks the support at $5,900. Ethereum remains weak. It might retest the bottom of the range of $192.5–$249.93. If the bears succeed in breaking down of the range, a retest of a Sept. 12 low of $167.32 is probable. Any attempt to pull back will face a stiff resistance at the moving averages and above that at $249.93. The ETH/USD pair will show signs of strength if it sustains above the range. The traders should wait for a breakout and close (UTC time frame) above $250 to initiate any long positions. Until then, it is best to remain on the sidelines. Ripple has marginally dipped below the 20-day EMA, which shows profit booking at higher levels. Both moving averages remain flat and the RSI is close to the neutral territory. This points to a consolidation in the short-term. The XRP/USD pair will become negative on a breakdown of the support at $0.37185. On the upside, it has a slew of resistances at $0.5, $0.55 and $0.625. It will resume its uptrend if it sustains above $0.625. We don’t find any reliable buy setups at the current levels; hence, we are not suggesting any trades on the pair. A lack of buying has pushed Bitcoin Cash to the support line of the symmetrical triangle. A breakdown of the triangle will resume the downtrend and sink prices to $300 with a minor support at the Sept. 11 intraday low of $408.0182. Therefore, traders should protect their long positions with the stops at $400. The 20-day EMA has started to turn down after remaining flat for the past few days. The RSI is also in the negative territory. This shows sellers have the upper hand. The BCH/USD pair will show signs of strength if the bulls break out of the triangle. There is nothing much happening in EOS as it continues to trade close to the moving averages. It has been trading inside the range $4.4930–$6.8299 for the past two months. The flat moving averages and the RSI in the neutral territory suggest equilibrium between the buyers and the sellers. The buyers will have an upper hand if they succeed in pushing the EOS/USD pair above the overhead resistance of $6.8299. A break down of the support zone at $3.8723–$4.49 will tilt the advantage in favor of the bears. Therefore, the traders holding long positions should keep a stop loss of $4.9. Stellar broke out of the overhead resistance at $0.24987525 on Oct. 17 and 18. However, on both occasions, the bulls could not sustain the higher levels. We remain positive on the XLM/USD pair because it continues to trade above both moving averages, which are starting to turn up. If the bulls break out and close above the overhead resistance, it will invalidate the bearish descending triangle, which is a bullish sign. Therefore, we retain our buy suggested in the previous analysis. On the downside, the digital currency will find buying support at the moving averages. Any break of this support can retest the zone between $0.204 and $0.2148. Litecoin continues to trade below both moving averages, which is a negative sign. A break below $52 can result in a drop to the bottom of the range at $49.466. This will be the fourth visit to the bottom of the $49.466–$69.279 range since Aug. 14. If the bears break down and close below the range, a fall to the next lower support of $40 is probable. The LTC/USD pair will signal a change in trend only after a breakout and close (UTC time frame) above the range. We believe the traders should wait for a break out of the range before initiating any long positions in it. Cardano turned down from the 50-day SMA on Oct. 17. It is likely to find some support at $0.069, below which it can drop to the critical support at $0.060105. Both moving averages are flat and the RSI is inching towards the neutral territory. This shows a balance between both the buyers and the sellers. The ADA/USD pair will pick up momentum if it scales above the overhead resistance at $0.094256 and $0.111843. We don’t find any buy setups at the current levels; hence, we are not proposing any trades. After failing to scale above the moving averages in the past few days, Monero has again dipped below the support of $107.8. It can now slide to the next support at $100, below which a drop to $81 is possible. Both moving averages are flat and the RSI is in the negative territory. This shows the probability of a consolidation in the near-term. The XMR/USD pair can move up to $128.65 if it scales above the moving averages. We shall wait for a new buy setup to form before suggesting any trades. TRON has been holding above the 20-day EMA for the past four days, which is a positive sign. It will indicate a change in trend if the bulls break out and close (UTC time frame) above the overhead resistance at $0.02815521. The traders can buy a close (UTC time frame) above $0.03 with a target objective of $0.41. The initial stop loss can be kept at $0.02, which can be raised later. The TRX/USD pair will weaken and sink to $0.02 if it breaks below the moving averages. We don’t find any trade inside the $0.0183–$0.02815521 range.